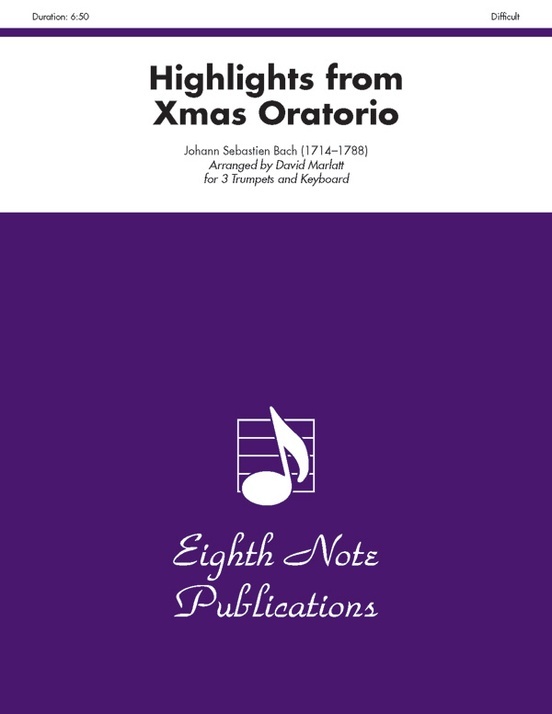 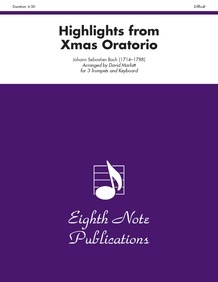 Several of the favourite and standard trumpet excerpts come from J. S. Bach's Christmas Oratorio. In this arrangement for 3 trumpets, organ (with optional timpani), there have been four important sections collected in this mini suite. 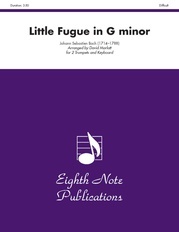 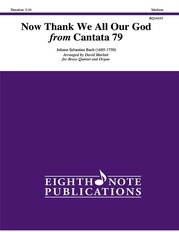 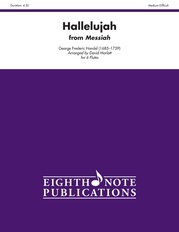 Three of the big chorales and the famous Aria have been extracted from this large-scale work and adapted for trumpets and organ. The original trumpet lines are left fairly intact. 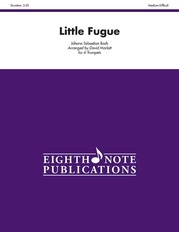 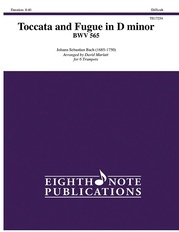 There are two organ scores provided - in the original key of D, for performance on piccolo trumpets, and in B-flat, for performance on b-flat trumpets.